Girl Scout Daisies. 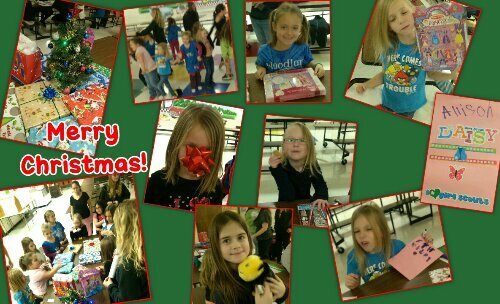 Troop 20257. 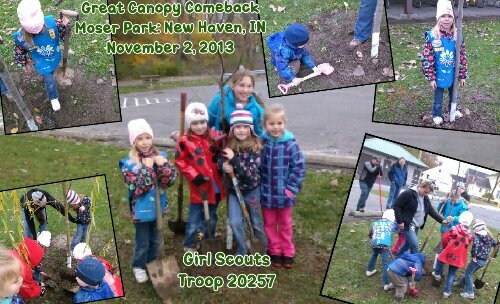 Our Girl Scout troop was invited by the New Haven Parks & Recreation Dept to plant trees in Moser Park. With shovels in hand, and a little brother in tow, we went to the park. I think we assisted in planting 3-4 trees. 11th Annual Great Tree Canopy Comeback, a grassroots movement to combat the critical loss of trees inFort Wayne. Our city and region is facing the devastation of the emerald ash borer; about one in four of our city street trees are ash and they will soon be gone. More than 250 trees were planted across Allen County, and we got to be part of it!